Denton Whelpdale was born in Clowne, Derbyshire on the 11th November 1898. His parents were Ernest Whelpdale (1868 – 1944) and Mary Ann Fletcher (1874 – 1955). On the 1901 Census, Denton was living with his parents at 51 Pit Row in Clowne. His father was employed as a colliery blacksmith. In 1908, Denton started his secondary education at the Shuttlewood Brockley Secondary School. On the 1911 Census, Denton, his parents and three younger siblings were living at Portland Cottages in Stanfree. His father was still employed as a colliery blacksmith. In 1920 he married Beatrice Ellen Allfree (1899 – 1984) in Bolsover. Between 1921 and 1932 Denton and Beatrice had four children – Eva, Esme, Denton & Zilpha. In 1936 he was admitted to Chesterfield hospital with an injury to his arm while working at Markham Colliery as a ripper. 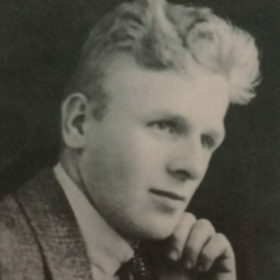 At the time of the disaster on 10th May 1938, Denton was working as a contractor and was living with his wife and four children at 87 Clowne Road in Stanfree. The funeral of Denton took place on 14th May 1938 in Bolsover with nine other victims of the disaster. Henry Alberry and his friend Denton Whelpdale were ‘contractors’ and worked together in the pit. They both lived in Clowne Road, Stanfree, Henry at number 6 and Denton at 87. They always ‘walked together’ to the pit. On Tuesday, 10th May they should have been on the day shift, starting at 6 a.m, but every alternate morning they started at 4am to have an early finish. This day was one of their early starts. Henry Alberry had been at Markham for 2 years having transferred from Oxcroft where, 5 years earlier his brother Albert was killed. Henry was a cycle racer and had won many trophies. He left a widow, Beatrice and two daughters, Iris and Pearl. He was 46 years old and was buried at Clowne. His friend Denton Whelpdale left a widow and four children, Eva, Esme, Denton and Zilpha. Denton was 39 years old and was buried at Bolsover.